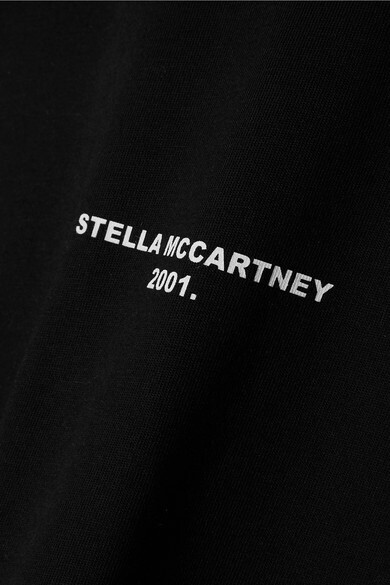 This black T-shirt is totally plain, except for a small white slogan at the front that reads 'Stella McCartney 2001.' 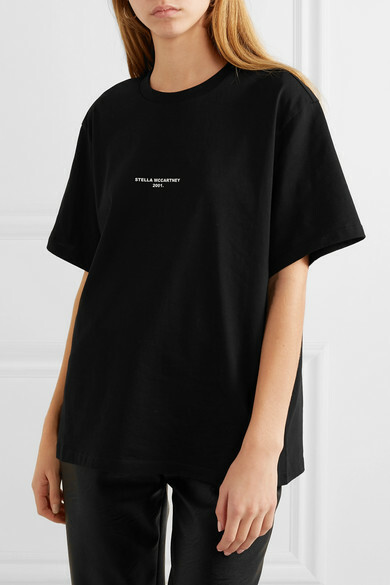 - Stella held her first runway show in Paris that year. 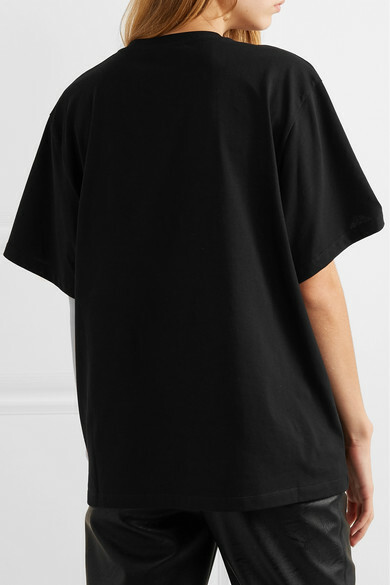 It's a perfect piece for low-key weekends, or for layering over your gym kit en route to class. Shown here with: CALVIN KLEIN 205W39NYC Top, Stella McCartney Pants, Loewe Shoulder bag, Stella McCartney Mules, Sophie Buhai Earrings.